When I self-published my novel Remember the Moon through Amazon’s Kindle Direct Publishing earlier this year, I’d already had a wonderful experience with my Canadian publisher, who organized a launch party, radio and TV interviews, and newspaper and magazine reviews for my memoir, The Alchemy of Loss: A Young Widow’s Transformation. And as the CEO of a start-up called Writer.ly, an online marketplace where writers can find editors, book designers, and marketers, I knew the ins and outs and pitfalls of selfpublishing. I knew it wouldn’t be easy to promote my own book. Still, I was unprepared for the lack of instant sales when I popped my book up onto KDP. I knew I had to begin cranking the self-promotion wheel, and boy, was it sticky. I spent money on flops (Goodreads ads, $50; BookRooster review, $67) and on so-so successes (K-Boards featured book, $35; StoryCartel free giveaway for reviews, $30). But probably my best decisions were to do a LibraryThing giveaway (free) and to shell out for a BookBub e-mail placement ($190). Although the quirky LibraryThing.com site is not particularly intuitive, it manages to attract lots of people (dare I say librarians?) who connect with each other and with authors, share their book recommendations, and post reviews. It’s a great place for authors to offer free copies of their books for review purposes. Posting a giveaway on LibraryThing is free, but a bit of a puzzle: You need to click the “More” link at the top of the page, then the “Get Free Books” link in the middle of the page, and then the link “Current Titles on Offer.” Once you do that, you will see some tabs at the top of the page, under the main navigation section; when you click the “Post a Giveaway” tab, you will be able to fill out the form. For my first LibraryThing giveaway I offered 100 free e-books, which resulted in a moderate 45 or so signups. My second giveaway, with the same 100 e-book offer, resulted in 108 people signing up. After a rather painful cut and paste of their e-mail addresses into MailChimp, I sent each of them an e-mail with a link for downloading the book free using the amazingly handy new free tool, instaFreebie, a highly recommended way to get promotion or review copies of your e-book out to people. Through instaFreebie, I know that only 53 of the 108 people who requested the book actually downloaded it. Still, I got several Amazon and Goodreads reviews from this giveaway. BookBub’s popularity is no secret and I can see why. The hard part is getting accepted. 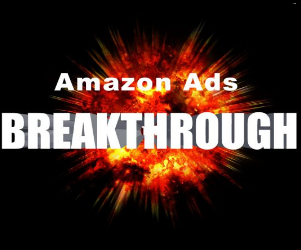 To get an e-mail placement, you have to have at least 25 favorable Amazon reviews and you have to be persistent. I chose to add my book to the “Women’s Fiction” list mailing for $190, tried to be flexible about dates, and submitted the book three times before it was finally accepted. Then I set my free giveaway through Amazon’s KDP Select to last for three days, starting on the day the BookBub e-mail went out. After the three days, I had 44,500 downloads. Now, almost two months later, the Amazon reviews keep coming. At this point, I have 144, up from about 30 before the BookBub e-mail. My only regret with BookBub was that I didn’t set a price of $0.99 or even $1.99. It would have been nice to see some of that interest turn into cash. Now I am preparing to print the paperback edition of my novel, which I will be producing through IngramSpark. Once it is out, I will send an e-mail to everyone on my mailing list to let them know, and then I will try BookBub again. And this time I will not make my book free. I’m ready for some real sales—you know, the kind that help you recoup all that money spent getting the book out there in the first place. I decided to actually become a publisher after I had signed a contract with a start-up publishing company for my book on the Delaware River flood of 1955, which was supposed to be released close to the 50th anniversary of the event. The guy running the company was a friend who had encouraged me to write the book and thought it would be a great first title for his nonprofit publishing house, which grew out of a group called The Writers Room in Bucks County, PA.
As I was finishing the manuscript, I was unaware that the host nonprofit group was disintegrating. Two months before the book was to go to press, the nascent publishing company declared bankruptcy, and it was clear that it would never issue my book. After several anxious weeks of negotiating and finding the funds, I paid back the half of my advance that I had received, and regained my rights to the book. But I knew no other publisher would be able to take it on, since it was already early May and the 50th anniversary of the flood—our main marketing hook for the book’s launch—was coming up in August. I wasn’t about to let three years of researching and writing the book go down the tubes. Thinking about alternatives, I realized that I had most of the skills I needed to publish and promote it myself. I had worked as an art director for a small Midwestern trade publisher for two years, learning how to design and produce a book. During that time, I had also filled in as interim editor, helping to write copy for catalogs and sell sheets. And I had spent time in my dad’s marketing agency when I was growing up, so I understood marketing and sales. I just jumped in. As soon as I made my decision to become a publisher, I remembered PMA (now IBPA) from my time in trade publishing and I somehow came to possess of a copy of the Independent. That was when I realized that I needed the guidance of this group and its publication to keep me out of trouble. So I joined and got hold of some back issues of the Independent and devoured them. Thus fortified, I registered with Bowker and got my publisher prefix. I finished what I still had to do on my manuscript, sent it to a professional editor to whack it up, made all the suggested revisions, and hired a professional indexer. Also, I hired a professional photo montage illustrator and graphic designer to do the cover even though I had relevant skills, because I didn’t think I could be objective enough. I did the design and production on the interior pages myself, finished the production, and sent my book off to the printer I had chosen. Then I immediately I went into promotion mode. Because my mom had died suddenly while I was supposed to be writing the book and then its first publisher had failed, I got behind schedule and was not able to have the book ready by the 50th anniversary of the flood it focused on. But I wasn’t going to let that keep me from using the anniversary as a promotional hook for the launch. I wrote a ten-page article for a popular regional magazine, which was eager to publish my piece because I could supply ample historic photos to illustrate it. Placing the article meant I could use the bio in it to promote the book and its website, and also earned me a handsome fee that I plowed right back into marketing efforts. I was bummed that I didn’t have books to sell in the launch period. To fill in for them, I created a PowerPoint presentation that I narrated and gave several times before the book came out, including at the launch party, and I took preorders, which helped pay for a significant portion of the print run. When the books arrived on October 7, the opportunity for promotion couldn’t have been better because Hurricane Katrina had blasted the Gulf Coast over the Labor Day weekend, and flooding caused by a hurricane—the very weather phenomenon my book is about—was in the front of everyone’s mind. All I had to do was call news outlets to tell them I had some historical color to add to their neverending coverage. I got more free publicity than you can imagine, for months and months. My first print run, 2,500 copies, sold out in 42 days. To date, the book has sold more than 6,000 copies, with some sales to places as far away as Hawaii and Switzerland. 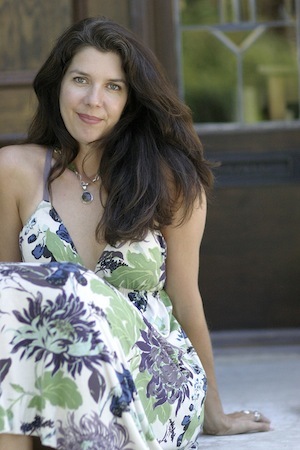 I learned a lot about many aspects of publishing by becoming my own publisher. I learned to tell a story the way it needs to be told. The original publisher wanted me to hold the manuscript to 60,000 words, but I ended up writing more than 120,000 because that’s how many this story needed, and I still shudder when I think what would have happened if I’d had to toe his line. The book has won several awards, so I think the industry agrees with me that my word count was the right one for it. I learned to trust my gut and not take no for an answer, even when things look hopeless. I truly do believe that where there’s a will, there’s a way. You just have to want that way enough to find it. I learned that doing things the right way made all the difference, and that includes registering with Bowker, getting information on how to approach targeted markets, affiliating with high quality trade organizations, reading everything you can find by reputable authorities on publishing, delegating the tasks you can’t do yourself to trained professionals, and being willing to pay what it takes to do all that. I also learned not to listen to naysayers who just can’t see the potential for success and can only be bugs in the punch bowl. If I know I can do something, I just plow ahead and do it. It’s a good thing to plan, but it’s also good not to become a slave to plans. I learned to roll with the punches, not let disappointments set me back any farther than necessary, and concentrate on what I can do. Progress likes speed and action, and sometimes you just have to get out of your own way and keep moving forward. And I learned that local people, even those I didn’t really know, were very excited about my book and were willing to help me any way they could. I continued to take advantage of that enthusiasm with every book that followed. Over and over, I saw that there are many ways to get results, so if one thing doesn’t work, just try something else. Other lessons: Look for people experienced in what you need to do and don’t be shy about asking questions. And ask some experienced person about mentoring you—most folks are flattered to be asked and thrilled for the chance to share their hard-won knowledge and experience. Just don’t make a pest of yourself, and be willing to work way harder than they can on your project. 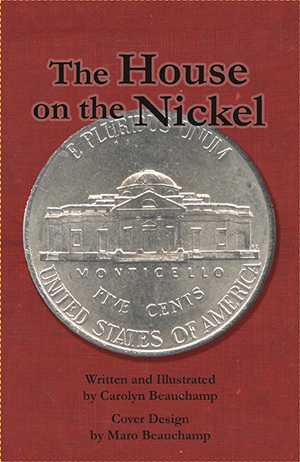 In 2013, I decided I had had enough of waiting for “regular” publishers to get back to me about my children’s book The House on the Nickel, which, of course, is about Monticello. I read Dan Poynter’s book on being your own publisher. Then, as a recent widow, eighty-five years old/young, needing to keep my mind busy on positive activities, I registered my DBA name with the County Recorder and started trying to take all the right steps in the publishing process. 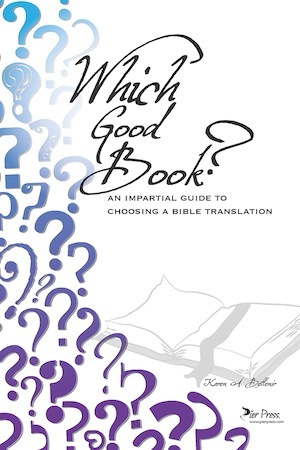 I found a printer whose rates sounded reasonable, and with the help of a knowledgeable friend who had had her own publishing company, I sent my book off to be printed. Boxes containing 250 copies arrived in mid-April. By the end of June, I had sold 40 books. I have very supportive family and friends. Now that I have learned about ISBNs, bindings, pricing, paper quality, and covers, I hope to have my company publish several more books before I quit. 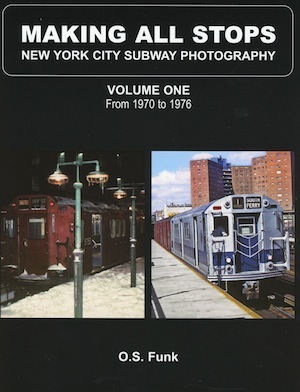 I have a New York State retail business called Only The Best Books, LLC that produces photo books about New York transportation from the collections of some of my train enthusiast friends. We have done two titles in a series called Making All Stops: New York City Subway Photography; we have another in the works, and we sell books only from our website and directly to museums. My friends are the photographers. When the series idea came up, I undertook to approach publishers about a book deal and met with some in person. No deal resulted. My search for alternatives led me first to consider print on demand, but the quotes I got were about $21 to $24 per unit and the quality of the photos was grainy and cheap. Because I am a stubborn person, I kept looking for an affordable way to produce the books with the photos looking great. I could not have bad production ruining my friends’ work, so I decided there were two things I could not compromise about: the best process for reproducing the photos (offset printing; four-color) and printing in the USA (to give our citizens the work and to be able to go talk to someone in person about any problems). It can be done and it was done. I found a place to work with in the Midwest, a place I can recommend, and as soon as we printed Volume 1 of our series, we got a great review in Trains Magazine. The reviewer noticed the quality. Our customers do, too. Of course, money is important. Obviously, you need it for production and marketing, but what’s most important is creating a product you are proud of. Along the way, it’s easy to think, “Who is going to notice if we do or don’t do this or that?” I would have known; so would my friends, who were expecting me to take a hard line on quality, and eventually so would our customers. No customer has ever voiced disappointment with our books. Imagine that. In fact, customers are eager to get the next one. Going forward with our series should be easier now that I am involved with groups such as IBPA and can learn more and reach more people. Our decision-making story focuses on the very beginning of the publishing process. 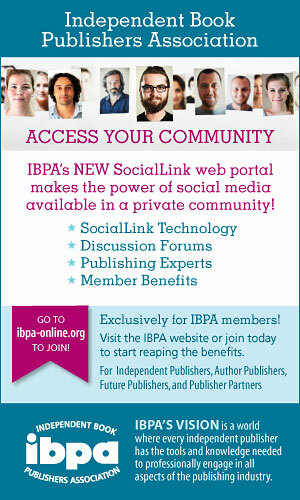 The decision was to join IBPA. 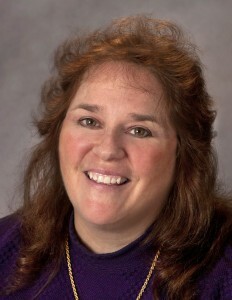 We had been working with publishers since founding Wordwright, LLC in 1992. 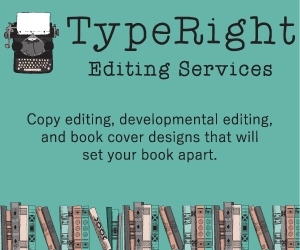 Through Wordwright, we provided (and continue to provide) editorial and production assistance. As a result, we had seen hundreds of books launched, but we wondered about our own hopes and aspirations. Could we also begin a public dialogue with books about topics that were important to us? When we worked strictly on editorial and production matters, the business side of publishing had seemed shrouded in mystery. We were interested in exploring the intersection of science and religion, rather than their opposition, but traditional publishers of religious material and publishers of science-related works seemed to stake out adversarial positions. Envisioning our role as a publisher that would nurture a mutually respectful conversation, we knew we needed help to find a path forward. We had seen examples of what worked and what didn’t work, and we wanted the benefit of advice from people who had been successful. After researching possible sources of education and ongoing support, we found that the pointers all led to the same place: IBPA. 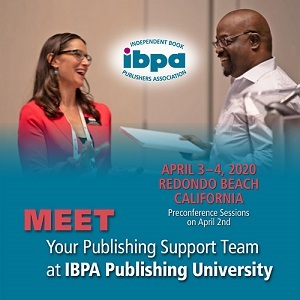 Through IBPA we were able to connect with people who willingly shared their hands-on experiences. We read the Independent every month, cover to cover, even the articles that didn’t seem to apply immediately to our situation. 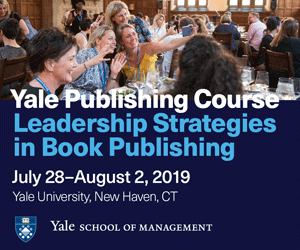 We attended Publishing University and filled notebooks with helpful tips and suggestions. We participated in webinars. We learned about the benefits of different business structures. We learned about practical matters including how to obtain ISBNs (and why we should get our own), options for website development, and guidance for managing social media involvement. We learned about identifying a niche, setting schedules, and creating a community. 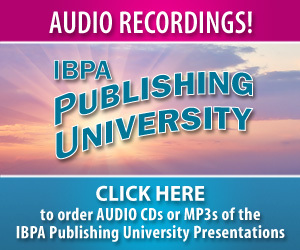 IBPA put the tools in our hands, and now we’re using them to build our dreams. Initially, just finding time to work toward small goals proved to be a challenge, but IBPA helped us learn about the value of developing realistic expectations. Although a lot of the information the association offers was—and still is—too advanced for us to implement, we have discovered that being exposed to a broad knowledge base prepares us for the days when the knowledge will be needed. For more stories about good decisions, take a look at Part 1, Part 2!